Home › Cydia iOS 9 › Jailbreak and Download Cydia for your iOS 9.0 to 9.1.0 with Pangu. 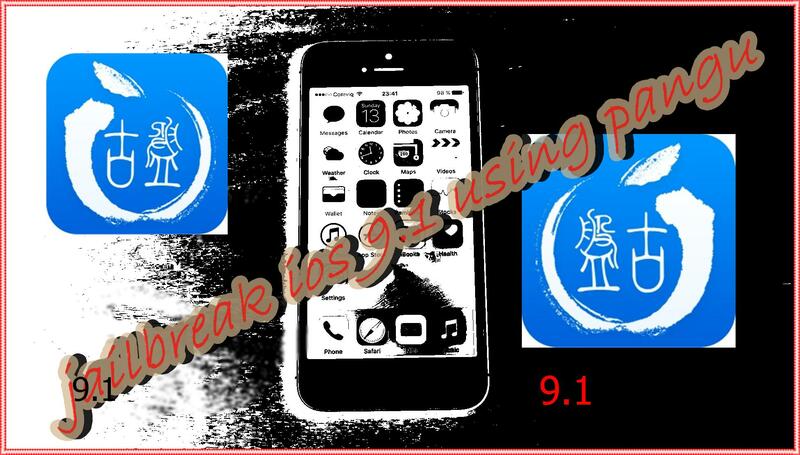 Jailbreak and Download Cydia for your iOS 9.0 to 9.1.0 with Pangu. Jailbreak your iOS 9.1 with Pangu. My dear all who are using apple devices, I have good news for you. The pangu team just released their new versions of jailbreak tool. By using this new tool, you can jailbreak your iOS 9.1. Let us see how to jailbreak iOS 9.1 using pangu. Here is the method step by steps, you can follow these easy steps bellow. Step 01 – First of all you have to backup your any important personal data using iCloud or iTunes. Step 02 – Disable any Anti-virus programs or firewalls. Step 04 – Now connect your iDevice to your computer using USB data cable. Step 05 – You have to disable pass code your iDevice from Settings -> Touch ID & Passcode -> turn off find my iPhone -> iCloud -> find my iPhone – > enable Airplane mode. For windows: Right click on pangu icon and run as “administrator” option. Step 08 – Pangu will take some time to detect your device. Step 09 – Then click on the BLUE START button and after that click on Already Backup button to proceed to the jailbreak. Step 10 – you can see, At about 55%, it will reboot your device. Step 11 – At about 65% you have to unlock your device, and activate Air Plane mode again. Step 12 – At about 75%, Pangu will give chance to unlock your device and run the PANGU App.then launch the pangu app from the home screen. Step 13 – pangu will take some time to process, you will have to wait for the progress bar to complete. Step 14 – Now your iDevice will reboot. Step 15 – Congratulations…! Now your iDevice is successfully jailbroken. And you should see the Cydia icon on the last page of the home screen. Also you must disable AirPlane mode before the launching the Cydia. First time, Cydia will take some time to Preparing file system. ‹ How to jailbreak iOS 10.1, iOS 10.1.1 using YALU jailbreak and Cydia Impactor.